Brigid and Dave have to be one of the funniest couples I've ever worked with. They were cracking me up the whole entire shoot! And on top of being funny, they are gorgeous! They were totally up for anything and did anything I asked (even running through the water and getting soaking wet for our 15 minute walk up the hill!). 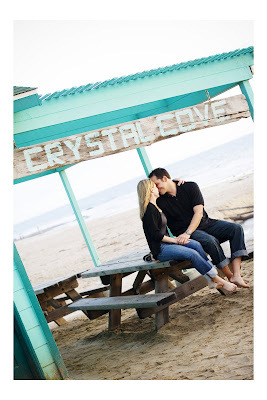 We did Brigid and Dave's engagement shoot at Crystal Cove beach in Newport. Last summer a bunch of old beach cottages were renovated and reopened at Crystal Cove. There are lot of bright walls (which I love!). And there's a cute little restaurant, which is actually where Dave asked Brigid's dad for her hand in marriage. How cute! 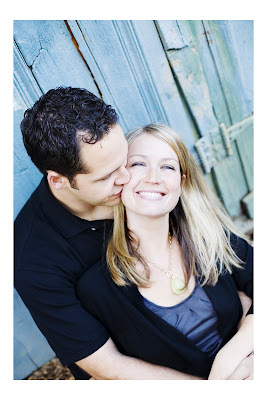 I'm totally excited to shoot Brigid and Dave's wedding this September! It's going to be a lot of fun! And thanks to my friend Joey for the referral! Here's the slideshow!